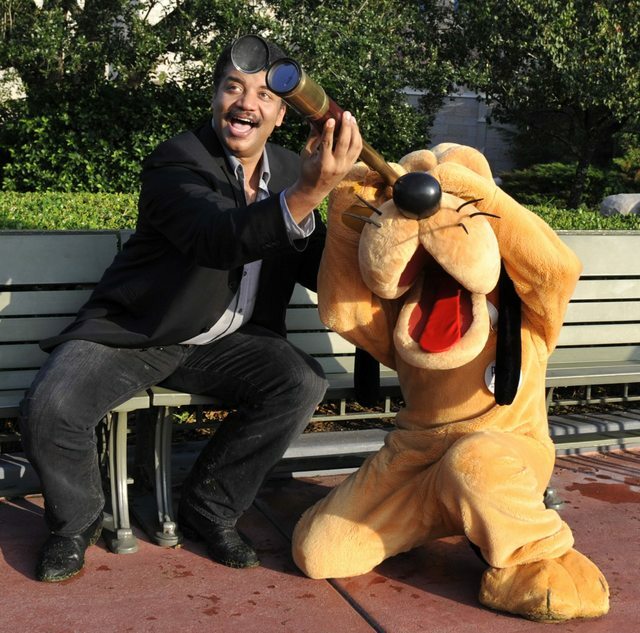 Well, ok here’s an explanation: It’s a picture of astrophysicist Neil deGrasse Tyson and Pluto looking for Pluto the ex-planet. Neil is famous, amongst other things, for being a prominent documenter of Pluto’s (the celestial body) demise as the 9th planet of our solar system. Another very interesting thing is how very core computer science concepts have uncanny parallels in phliosophy and real life. Graph scoring and searching algorithms like BANKS and PageRank work on directed graphs where edges between nodes depict relationships between them; and it’s almost always better (in terms of speed and accuracy) to introduce “backward edges” — a relationship in the reverse direction of every relation in the graph. Kind of like saying that there’s no such thing as a one-way relationship between two people.